The 4-star City Hotel, renovated in 2013, is only a 5-minute walk from Linz’s pedestrian zone and new Music Theatre, and a 2-minute walk from the Design Center (exhibition centre). It offers free WiFi access. A gym and a spa area comprising a Finnish sauna, a bio sauna and a small relaxation area are located on an upper floor of the hotel. The rooms feature a work desk, air conditioning, and a flat-screen TV. Each room comes with a bathroom featuring slippers, a hairdryer and free toiletries. Some rooms are located in the new part of the hotel, which was built in 2013. In the morning, a rich breakfast buffet is served in the light-flooded winter garden or on a terrace in the inner courtyard. The recently renovated City Hotel features a bar, which is open around the clock. Guests can also relax in the lounge area, where an open fireplace ensures a cosy atmosphere. City Hotel offers a private shuttle service from and to Linz Airport. The train station is a 10-minute walk away. 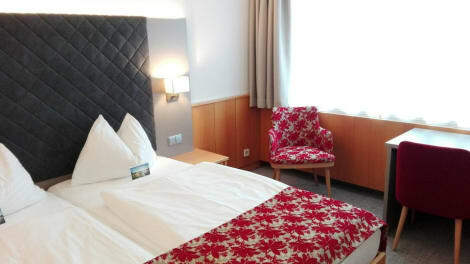 A smart hotel in the heart of Linz, the Park Inn by Radisson Linz is close to the City Park, the shops of Landstrasse, Casino Linz and the Old Town. Enjoy both Austrian and international cuisines in the Restaurant SQUARE, relax with a drink in the trendy SQUARE Bar & Lounge and work out with state-of-the-art equipment in the 24-hour gym. Park Inn by Radisson Linz’s rooms have LCD TVs, free high-speed wi-fi, laptop-sized safes and private bathrooms with tubs or showers. Be sure to enjoy recreational amenities including a health club and a sauna. This hotel also features complimentary wireless Internet access, gift shops/newsstands, and wedding services. Facilities and services include a 24 hrs reception, restaurant, lounge bar, elevator, wireless Internet in public areas, business center and parking (extra charge). The rooms are equipped with air conditioning, TV, wireless Internet, safe box, hairdryer and mini bar. Address: Weissenwolffstrasse 33, 4020, Linz, Austria. 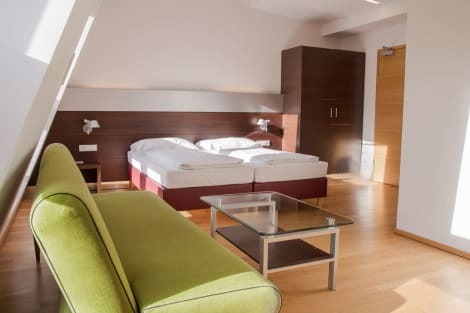 A stay at arte Hotel Linz places you in the heart of Linz, steps from Ars Electronica Center and 7 minutes by foot from University of Arts and Industrial Design Linz. 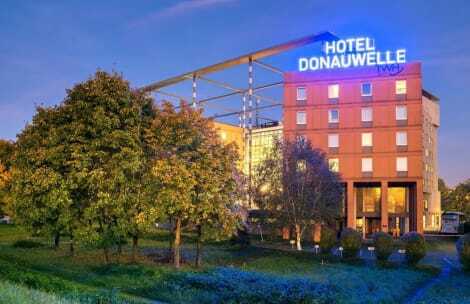 This 4-star hotel is 0.4 mi (0.7 km) from Stifter House and 0.6 mi (1 km) from Linz Museum of the History of Dentistry. Enjoy a satisfying meal at La Table serving guests of ibis Linz City. Wrap up your day with a drink at the bar/lounge. Buffet breakfasts are served on weekdays from 6:30 AM to 10:00 AM and on weekends from 6:30 AM to 11:00 AM for a fee. Enjoy a meal at the restaurant or snacks in the coffee shop/café. The hotel also offers room service (during limited hours). Quench your thirst with your favorite drink at the bar/lounge. Buffet breakfasts are served on weekdays from 6:30 AM to 10:30 AM and on weekends from 7:00 AM to 11:30 AM for a fee. Stay in one of 174 guestrooms featuring flat-screen televisions. Your pillowtop bed comes with premium bedding. Complimentary wireless Internet access keeps you connected, and satellite programming is available for your entertainment. Private bathrooms with shower/tub combinations feature complimentary toiletries and hair dryers. Take advantage of recreation opportunities such as a casino, or other amenities including complimentary wireless Internet access and concierge services. This hotel also features a hair salon, shopping on site, and a television in a common area. Guests who want to try their luck at the slots can hop on the complimentary casino shuttle. Enjoy a satisfying meal at Fesch Restaurant serving guests of Courtyard by Marriott Linz. Quench your thirst with your favorite drink at the bar/lounge. Buffet breakfasts are available daily from 6:30 AM to 10 AM for a fee. lastminute.com has a fantastic range of hotels in Linz, with everything from cheap hotels to luxurious five star accommodation available. We like to live up to our last minute name so remember you can book any one of our excellent Linz hotels up until midnight and stay the same night.